The spine specialists at SPINE OPTIONS will coordinate all of your spine care needs. Team members collaborate regularly to offer you the best treatment options. Spine Options brings together a team of medical and holistic professionals who specialize only in disorders of the back and neck. 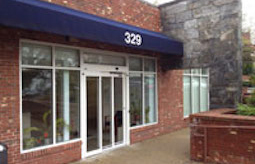 The group offers an impressive array of services and treatments that optimize pain management and the healing process. The expertise of the Spine Options Team, is an excellent resource for both primary care physicians and specialists. 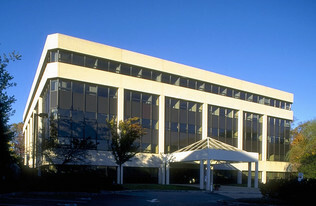 The group of professionals offers a unique combination of neck and back pain specialists. Dr. Cash is a Board-certified physiatrist, or an MD trained in physical medicine and rehabilitation. He does see a variety of patients of any age for any musculoskeletal or neurological condition, but he specializes in back and neck pain. At your first visit SPINE OPTIONS, he performs an extensive evaluation to uncover the cause of your pain. Diagnostic testing is ordered if needed and a treatment planned tailored to the patient’s condition is developed. Then, throughout the course of your treatment plan, he leads the multidisciplinary team that cares for you. He has devoted his career to evaluating and designing treatment programs for individuals suffering from neck and back pain. That is why at SPINE OPTIONS, we routinely treat patients successfully where otherwise conventional treatment has failed. SPINE OPTIONS not only helps patients hoping to avoid surgery, but also focuses on recovery and rehabilitation for those that have completed surgery. As a Pain Management specialist, he is an expert in diagnosing spinal conditions, as well as experienced in managing pain to give your body an opportunity to heal and function at its best level. In addition, Dr. Cash has had extensive training in treating spinal dysfunction, neuromusculoskeletal disorders, and the use of therapeutic BOTOX and other injections. He has served on several national Chronic Pain and Botulinum Toxin Advisory Boards. Dr. Cash completed his residency in Physical Medicine and Rehabilitation at Mount Sinai Hospital in Manhattan, and served as medical director of Rehab Institute of New York, a large, sub-acute rehabilitation program. He received his medical degree from New York Medical College in 1995 and a BA in Psychology with a Spanish minor from Emory University in 1990. He has maintained several hospital affiliations and an active member of local and national societies. He is a founding Board Member of the New York State Pain Society which is involved both in academic and political issues surrounding his Specialty. Dr. Cash has years of experience and has expertise in Electrodiagnostic testing as well as various local myofascial and joint injections. He also has advanced skills in BOTOX injections for therapeutic techniques; Cervical Dystonia, Migraine Headaches and Spasticity. He also has specialized training in cosmetic BOTOX as well has Juvederm injections. 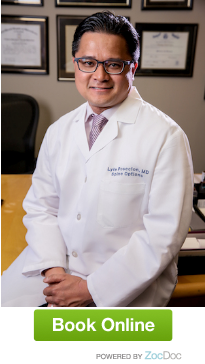 SPINE OPTIONS does offer various interventional pain management injections to the lumbar and cervical spines under Flouroscopic Guidance by Dr. Lyle Posecion. Dr. Posecion is a board-certified in physical medicine and rehabilitation and board certified in pain medicine. He is a physician trained in the diagnosis and management of spine-oriented pain whether the cause is disease of the nerves, discs, muscles, joints and/or bones. The goal is to promote optimal patient health and function by combining exercise with evidence-based medical treatment. Originally from Queens, NY, he received his undergraduate degree from New York University. He completed his medical education by interning at Long Island College Hospital, in Brooklyn, NY. He went on to finish a three-year residency in Physical Medicine and Rehabilitation at Kingsbrook Jewish Medical Center in Brooklyn, NY. He continued his training as a fellow in Interventional Spine and Pain Management with the Alabama Orthopedic, Spine, & Sports Medicine Associates in Birmingham, AL. Dr. Posecion has a special interest in non-operative treatment of neck and back disorders, orthopedic rehabilitation, and sports injuries. 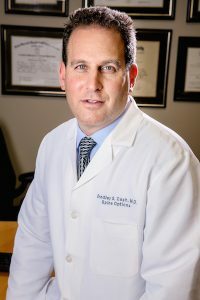 He has extensive training and experience in minimally invasive pain management techniques, including epidural steroid injections, facet joint injections, and intradiscal procedures. He also performs electro-diagnostic studies to assist in diagnosing complex cases. His objective is to work with his patients to design an individualized treatment program tailored to restore function and promote an active lifestyle. Different aspects of a treatment plan may include physical therapy, medications, or x-ray guided steroid injections. He provides non-operative care to patients that suffer with neck/back pain, arthritis, and work/sports related injuries with the intent of adding quality to life. He is an active member of the New York State Pain Society, the American Academy of Physical Medicine and Rehabilitation, and the International Spine Intervention Society.